Last week I made this table topper or trivet. 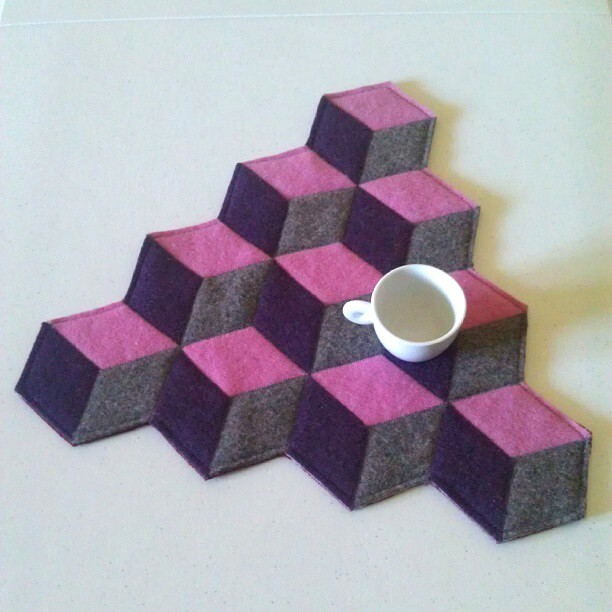 I cut the diamond shapes from woolen sweaters that I had felted in the washing machine and stitched them together using a small zig zag. This pattern is known among quilters as ‘baby blocks’ – very effective, isn’t it? It would look great under a vase or a bowl – a perfect house-warming gift. It can also be used as a mouse pad. 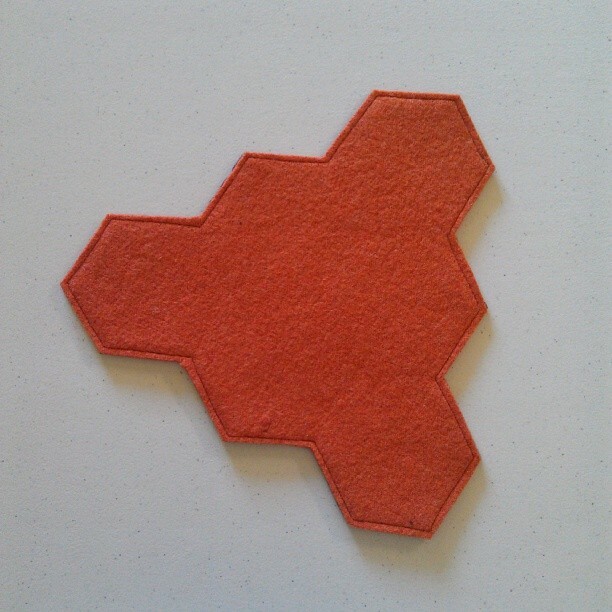 I have a lot of felt left, so am going to try and make some more ‘trivets’ (strange word…). 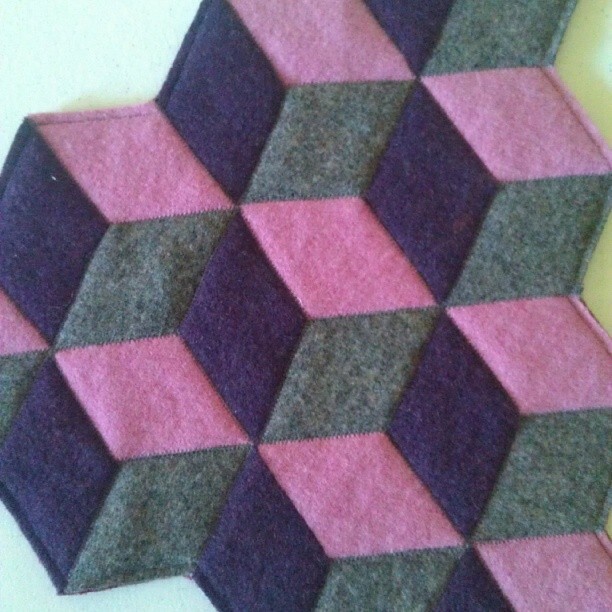 There are some more quilt blocks that I think would look very good in felt! 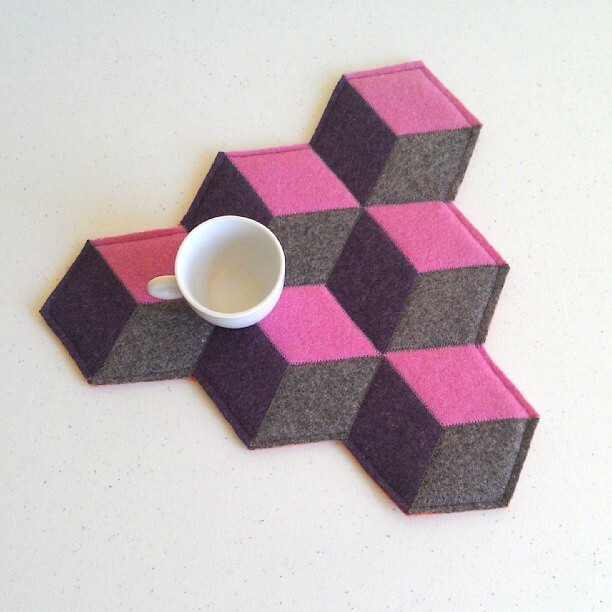 This entry was posted in Felted Sweaters, Quilting, Sewing, Uncategorized, Upcycling and tagged baby blocks, felted sweaters, home decor, mouse pad, trivet, upcycling on October 10, 2013 by bluejacarandadesign.